The parks are available for everyone's use and enjoyment. The following rules have been created to assure that the natural setting and tranquility of the parks are protected. 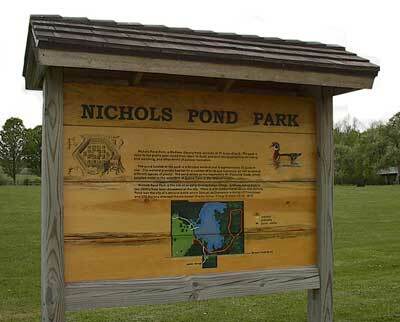 Explore the natural setting of the forest and wetland, or learn about the history of Nichols Pond Park located in the Town of Fenner. A picturesque 167 foot waterfall is the main attraction of Chittenango Falls State Park! Glacial sculpting over 40 million year-old bedrock is responsible for this scenic feature. An interesting variety of both plants and wildlife may be found along the trails. Visitors can view the falls from the top, walk the winding trail into the gorge view the falls from the footbridge and return to the top along the small trail on the opposite side of the gorge.